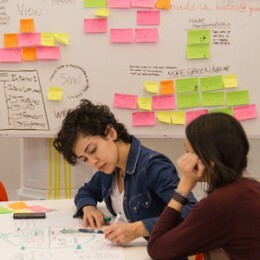 Each of the Masters of Design and Innovation provides students with a structured theoretical and practical foundation that allows them to master the methodologies of design and encourages research. This training aims to stimulate intellectual activity and helps develop a growing curiosity about troubleshooting. Throughout the research process it is important to ask why, what, how and when. A research paper should serve society, the issues that concern us all and, in parallel, it should favour the development of a profession or a business. The answers to these questions should be part of the production of a good project, the result of learning. Each and every one of the educational activities of the Masters, whether interdisciplinary or specific, contribute to the correct development of the project, since it will inspire students, strengthen their arguments, support the defence of ideas and the way they are communicated. In this way, the insights obtained will lead to a product that has value, is effective and reaches users properly. Working on a project allows students to consolidate and make tangible the learning experiences they have gained. 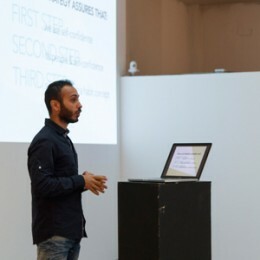 With this approach the Masters of Design and Innovation, from the first moment, focus on a final thesis project. All programmes start with a research phase and continuous learning that is not based simply on gathering ideas, logbooks, pictures and drawings, but evolves to look at how all this material can feed directly and indirectly into the progress of the thesis. 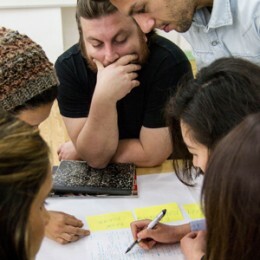 The development of the project will be led and coordinated by tutors, teachers and occasional meetings with the Programme Leader, to help students with the critical selection of everything they have learnt to generate a coherent and consistent discourse that demonstrates the professional and personal growth experienced by each student from the first day until the end of the programme. To embed in the educational programme a broad and comprehensive view of the professional reality is necessary for the student’s training to go beyond a theoretical context. Thus, the professional projection of each project is favoured, without neglecting the feasibility thereof, whether for a company or an entrepreneurial initiative. The Masters of Design and Innovation provide the student with methodological and theoretical support that is addressed during the course, generating conditions to accompany each student’s professional development even after the completion of the master. The Challenge Makers Day: A moment of reflection for students to get to know examples and possibilities of how to manage their professional development successfully. Professional Master Class: Meeting with key figures in sectors of interest to each programme, in order to provide guidelines, tips or experiences to help run a successful career in the sector. Trips for professional contacts: On the trips that are taken, students can contact professionals from the outset and exchange their contact details for future collaborations. Company Week: Meeting with businesses, professionals and investors from various fields who can personally get to look at each student’s project and receive a detailed explanation from them. Exhibition Experience: Presentation of the thesis projects to the target audience that is interested in finding talent and innovative ideas. Participation in real projects: Students will have the opportunity to participate in projects with real professional briefings. Participation in the activities of the Red de Industrias Creativas (Creative Industries Network): Collaboration with companies in the Red de Industrias Creativas in order to interact with participants in cocreation activities. Use their thesis project to build the foundation for a business, under the guidance of the professionals from the Business Department of the IED Madrid. Students can launch their own business as freelancers, participating in projects, initiatives or experiences proposed by the Business Department of the IED Madrid. 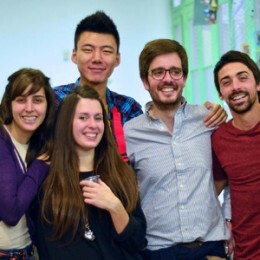 Students may be part of a list of professionals, supported by an extensive network of contacts created by the International Job Placement sector at the Business Department of the IED Madrid, a resource used by companies seeking employees. After the beginning of their career, former students who have started their own business have the chance to be involved in the project of the Red de Industrias Creativas.